Deltamarin of Finland | Car Couriers Inc.
It’s all about fuel economy. Whether your primary concern is lowering the environmental impact of your transportation choice or, on a smaller scale, just spending less on fuel, chances are high that how many miles per gallon your vehicle consumes is paramount. While this trend has resulted in the market being flooded with smaller personal vehicles, it has also resulted in a need for larger car carriers. This new theory has been implemented by Wallenius Lines, based in Stockholm, Sweden, as they have ordered two new Post Panamax vessels to be built by Tianjin Xingang Shipyard in China. The vessels are slated to be completed in 2016 and are revolutionary for several reasons. Deltamarin of Finland, the architects behind this new design, have stated that the hull has been created with the foremost thought being the lowest fuel consumption possible, while also maintaining an outstanding sea keeping and operability in international waters. The designers are also quoted stating the new vessels will have “special fuel saving devices […] to reduce fuel consumption”. Because the car carriers are designed to be 4.3m wider than previous Panamax vessels, with a rolling vehicle capacity of 8,000 vehicles, the Post Panamax ships will be far more environmentally conscious than previous designs. 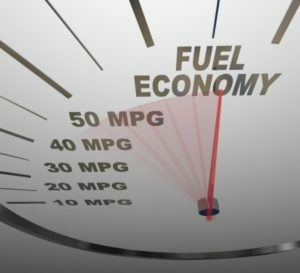 Car Couriers is proud to not only keep up with all of the exciting benchmarks made in the quest for an improved fuel economy, but to be on the cutting edge of everything we can do to keep costs down for our customers and create a more environmentally friendly tomorrow.